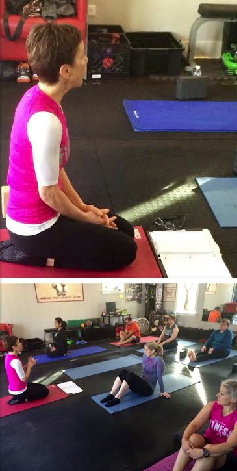 Learn the basics of Yoga from Certified Instructor Kim Gass. This class will again be held at the Efit Studio. Yoga is an excellent complement for your overall fitness program. Yoga is very therapeutic in nature and will help you become aware of your overall posture, alignment and patterns of movement. You will feel more energetic and fit. Yoga Basics will now be offered on the weekend to help with any time constraints. Anyone is welcome to try Yoga Basics. The Yoga Basics class will last 50-55 minutes.